In the brand-new Power Rangers Super Ninja Steel episode "Attack of the Galactic Ninjas" (#806), the Galactic Ninjas arrive on Earth to destroy the Rangers once and for all. In the super sneak-peek, Calvin (Chantz Simpson) is suspicious about why Preston (Peter Sudarso) and Hayley (Zoe Robins) are spending so much time together, but uncovers more than expected when he tries to find out the truth! Update (2/28): To further celebrate the debut of the brand-new Power Rangers Super Ninja Steel episode "Attack of the Galactic Ninjas" on 3/3, Nickelodeon USA has unveiled a second sneak-peek from the all-new episode, which you can watch here on Nick.com/NinjaSteel and on the Nick App! In Nick's super sneak-peek, titled "Romeo's Understudy", Victor (Chris Reid) tries to take the role of Romeo away from Preston, but in the end only gets the role of Romeo's understudy! Did you hear? Power Rangers Ninja Steel and William Shewfelt (Brody Romero/Red Ninja Steel Ranger) have received nominations in Nickelodeon 2018 Kids' Choice Awards! Voting opens online at kidschoiceawards.com and kca2018.tv and on Twitter using special KCA hashtags on Monday, March 12! Originally published: Tuesday, February 27, 2018. Green Globe announces that Sensatori Resort Punta Cana and Nickelodeon Hotels & Resorts Punta Cana have both received their inaugural Green Globe certification for sustainable management and operation. These resort properties owned by Karisma Hotels & Resorts, have benefited through the application of Karisma’s Passion for Sustainability program, which guides and inspires respect for environmental conservation and socio-economic development for Punta Cana in the Dominican Republic. In January 2017 Sensatori Resort Punta Cana and Nickelodeon Hotels & Resorts Punta Cana signed a Strategic Alliance with ECPAT Dominicana to establish a program to combat and prevent human trafficking and exploitation in all forms. 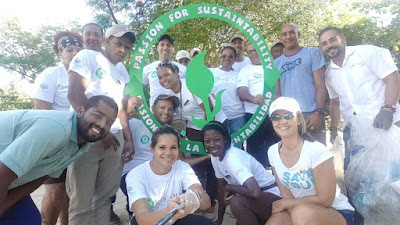 Over 300 staff members have received direct training from both ECPAT Dominicana and hotel instructors, to prevent and actively respond to any potential situation for sexual exploitation inside and outside of the property, making Punta Cana a safer and more sustainable destination. The alliance continues through 2018 with the number of trained staff increasing and including suppliers, community representatives and local authorities. 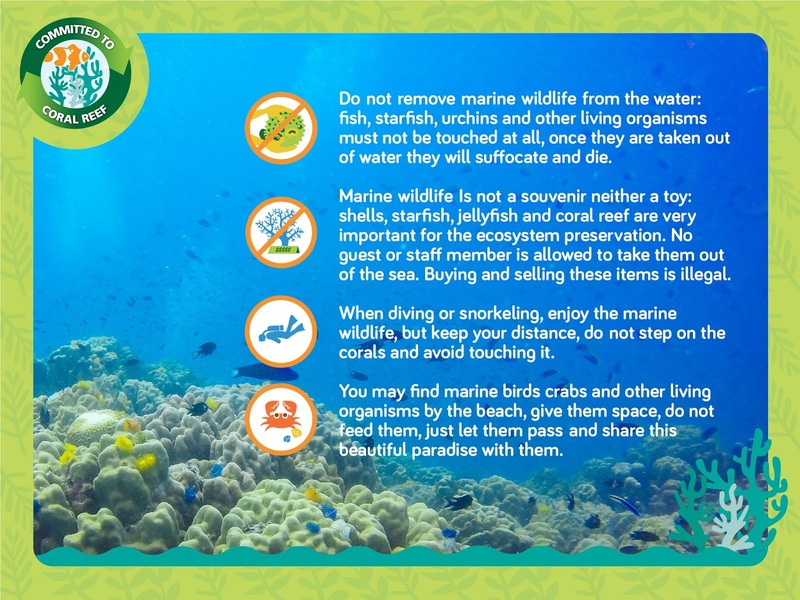 Sensatori Resort Punta Cana and Nickelodeon Hotels & Resorts Punta Cana have in place a marine wildlife conservation campaign, which is actively communicated to guests. Through an internal sustainability channel, interactive screens on property and during the night shows, the resorts promote guidelines in order to preserve the health of natural ecosystems. 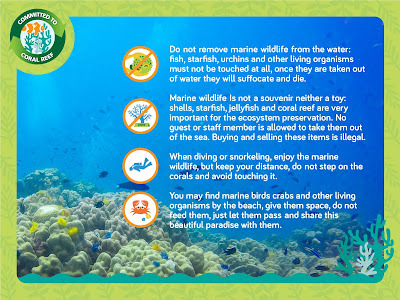 The resorts also train all personnel on how to explain to guests the importance of these actions for the destination as well as the 100% commitment to keep not only the resort beach clean, but the public beaches of the destination. Last year the resort collected more than 300Kg of waste from public beaches in the Macao-Uvero Alto area and in 2018 have already started, with a beach clean up of a 2km stretch in the same area. This clean up retrieved more than 200Kg of waste. During the last week of November 2017, the Second Workshop: Transforming Tourism Value Chains, organized by the United Nations Environmental Program (UNEP), took place at the Grand Palladium Hotel in Punta Cana, Dominican Republic. The workshop´s goal was to map out value chains for the accommodation sector in Dominican Republic and assess potential hotspots at national, local and business levels for establishing new strategies to develop a more resource efficient and low carbon tourism industry in developing countries, small Islands and developing States (SIDS). Sensatori Resort Punta Cana’s and Nickelodeon Hotels & Resorts Punta Cana’s owning company, Karisma Hotels & Resorts, had an active role in this workshop, with Mr. David A. Ortegón-Martínez, Sustainability Director of the Company, presenting the way in which Karisma’s program Passion for Sustainability is fully aligned with the Strategic goals of the company, its award-winning Gourmet Inclusive ExperienceTM and each one of its hotel and resort brands. For more information about Nickelodeon Hotels & Resorts Punta Cana, visit NickResortPuntaCana.com. More Nick: Karisma Hotels & Resorts and Viacom Announce Spring/Summer 2019 Opening of Nickelodeon Hotels & Resorts Riviera Maya! Follow NickALive! on Twitter, Tumblr, Google+, via RSS, on Instagram, and/or Facebook for all the latest Nickelodeon Hotels & Resorts News and Highlights! To celebrate Nickelodeon USA starting to premiere and show Knight Squad Saturdays at 8:30 P.M. (ET/PT) from Saturday, February 24th, the stars of Nickelodeon's brand-new Saturday knight comedy will be taking over the next brand-new episode of TeenNick Top 10! Tune into the TeenNick Top 10 Special Knight Squad Takeover, premiering Saturday, March 10th, 2018 at 9:00 P.M. (ET/PT), only on TeenNick USA! 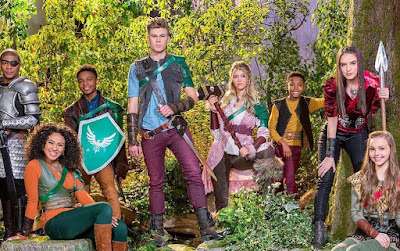 Online on Nick USA's brand-new official Knight Squad show website, fans can find out more information about Nickelodeon all-new sitcom, plus watch a fantastic first-look at the movie! Don't miss the premiere of Knight Squad, Saturday February 24th at 8:30/7:30c, only on Nick USA! Watch a FULL sneak-peek episode now on nick.com and the Nick App! Are you excited? Share your thoughts in the comments below! More Nick: Nickelodeon USA To Premiere Blurtier Version Of 'Blurt' On Friday 26th February 2018! Originally published: Friday, February 23, 2018. H/T: Huge thanks to TV Shows Fan. NEW YORK, Feb. 12, 2018 – Nickelodeon will bring its hit animated preschool series Sunny Day to life this summer with the debut of a robust portfolio of consumer products, beginning with a new line of toys from Mattel, and the launch of the Sunny Day Tour, an immersive on-ground activation that will travel to cities across the U.S.
Nickelodeon has also greenlit a second season (20 episodes) of Sunny Day that will follow Sunny, a 10-year-old master hairstylist and entrepreneur, as she goes on exciting new adventures in her seaside town of Friendly Falls. Inspired by Sunny and her friends Rox and Blair’s colorful and creative personalities, Sunny Day consumer products will feature the bold, vibrant color palette from the show and span categories including toy, consumer electronics, home goods and more from best-in-class partners. The all-new toy line created in conjunction with Mattel includes basic and deluxe doll assortments, accessories, plush, role play and playsets. It will be available as a first-to-market this May at Walmart and will roll out to all other retailers in August. The Sunny Day Tour will kick off at the Bentonville Film Festival in May, and make stops at select Walmart stores across the country during the summer. This interactive experience is free to the public and will include immersive activities, a product showcase and content screenings. In season two of Sunny Day (20 episodes), Sunny, 10-year-old master hairstylist, entrepreneur, and problem solver extraordinaire, will “gear up and go” on exciting new adventures around her seaside community of Friendly Falls. Along with best pals Blair, Rox, and Doodle, Lacey will join the salon team to manage Sunny’s new Pet Parlor. Sunny will also hit the road in a brand-new vehicle, the Groom & Vroom, a styling vehicle exclusively for pets. Developed and produced by Silvergate Media, Sunny Day features a social-emotional curriculum highlighting leadership, innovative thinking and teamwork. New episodes of Sunny Day will continue to air regularly on Nickelodeon this year. Update (2/28): Jada Toys Inc. recently announced that they'll be adding Dazzle Dash to their rosta of girls’ products. The new die-cast vehicle girl line will be available this August and include popular licenses, including Sunny Day! Jada Toys Inc. unveiled their Sunny Day Dazzle Dash vehicles at the 2018 North American International Toy Fair in New York City. We all know SpongeBob SquarePants. The Nickelodeon superstar is loved the world over for his goodhearted nature and incurably optimistic personality. To celebrate the global icon, Nickelodeon International has launched "The SpongeBob Heart of Gold Mosaic" as part of their worldwide SpongeBob Gold initiative, and they want YOU to be apart of the celebration! If you have a heart of gold like SpongeBob SquarePants, Nickelodeon wants you to visit spongebobgold.com and upload a photo of yourself showing Nick your heart hands to be part of Nickelodeon's photo mashup! Once Nick has collected enough photos, Nickelodeon will reveal a very special image made up of everyone's photos from all around the world! To be part of the "SpongeBob Heart of Gold Mosaic", simply visit spongebobgold.com and follow the instructions! You can submit a photo through Facebook or through your device, and once you've sent your picture, you'll get an email once your pic has been added to the super special SpongeBob Heart of Gold Mosaic! "The SpongeBob Heart of Gold Mosaic" is currently only available in select countries, including Australia and New Zealand, Asia, Denmark (Danmark), Sweden (Sverige) and Norway (Norge), and in Latin America. Hopefully it'll become available in more countries so more SpongeBob fans can take part! More Nick: The Krabby Patty Chronicles | Valentine's Day | The Proposal | SpongeBob Gold | Nickelodeon International! Since its launch in July 1999, SpongeBob SquarePants has emerged as a pop culture phenomenon. The series has been the most-watched animated program with kids 2-11 for more than 15 consecutive years, and over the past several years, it has averaged more than 100,000,000 total viewers every quarter across all Nickelodeon networks. SpongeBob SquarePants is the most widely distributed property in Viacom International Media Networks history, seen in more than 208 countries and territories and translated in 55+ languages. The Paramount Pictures feature film The SpongeBob Movie: Sponge Out of Water premiered Feb. 6, 2015, landing at #1 opening weekend. The character-driven cartoon chronicles the nautical and sometimes nonsensical adventures of SpongeBob, an incurably optimistic and earnest sea sponge, and his undersea friends. SpongeBob SquarePants is executive produced by creator Stephen Hillenburg, who previously worked as a writer, director and creative director on Nickelodeon's animated series Rocko's Modern Life. Hillenburg graduated from the California Institute of the Arts with a master's degree in experimental animation and his undergraduate degree, from Humboldt State University, was in natural science with an emphasis in marine biology. Hillenburg executive produced his first feature film, The SpongeBob SquarePants Movie, which debuted Nov. 19, 2004 and his second theatrical, The SpongeBob Movie: Sponge Out of Water, hit theaters Feb. 6, 2015. A third theatrical film is planned. The series is produced at Nickelodeon in Burbank. Watch SpongeBob SquarePants on Nickelodeon and Nicktoons! Originally published: Sunday, February 11, 2018. Additional sources: YouTube /@JJ The Crazy, Encyclopedia SpongeBobia. Follow NickALive! on Twitter, Tumblr, Google+, via RSS, on Instagram, and/or Facebook for the latest Christmas on Nickelodeon International and SpongeBob Gold News and Highlights! Gwen Stefani recently revealed on her official Instagram Story that she currently working on new content for the Grammy winner's popular music-driven, street fashion-inspired animated series Kuu Kuu Harajuku! Although its currently unclear whether she was recording dialogue for new episodes or for short-form content for Kuu Kuu Harajuku, however, as season two recently came to a close on Nick Jr. USA, there's a strong possibility that Kuu Kuu Harajuku has been renewed for season 3! BroadwayWorld is giving you and a friend a chance to win tickets to SpongeBob SquarePants: The Broadway Musical! Enter the contest now online at Broadwayworld.com using your Facebook account or email address! Please note: Transportation and lodging are not included. Tickets will be for Tuesday - Thursday performances from 3/7/18-4/19/18. Performances will be Tuesday evening, Wednesday matinee, Wednesday evening, and Thursday evening. This offer is subject to availability and certain blackout dates may apply. Sweepstake closes Friday, March 2, 2018. One of the world's most beloved characters. Turn them loose on Broadway and what do you get? The musical The New York Times declares, "BRILLIANT!" "Wonders pour from the stage in a ravishing stream of color and invention" (Time Out New York) as Broadway's best creative minds reimagine and bring to life the beloved Nickelodeon series with humor, heart and pure theatricality in "a party for the eyes and ears" (Daily Beast). Be there when SpongeBob and all of Bikini Bottom face catastrophe-until a most unexpected hero rises to take center stage. The New York Times hails Ethan Slater's performance as our uber-absorbent champion, "a once-in-a-lifetime matchof actor and character." Get ready to explore the depths of theatrical innovation in SpongeBob SquarePants, a "Broadway Extravaganza" (The New Yorker), where the power of optimism really can save the world! 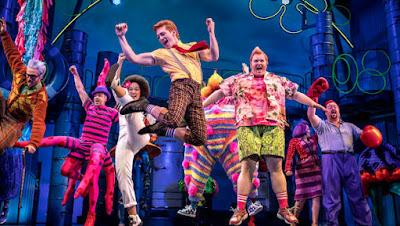 SpongeBob SquarePants, now playing at the Palace Theatre (1564 Broadway at West 47th Street), explodes with energy and features an original pop and rock-infused score by a legendary roster of Grammy® Award-winning songwriters. Led and conceived by visionary director Tina Landau and a Tony Award®-winning design team, the production brings the spirit of SpongeBob to life with humanity, heart, and pure theatricality. 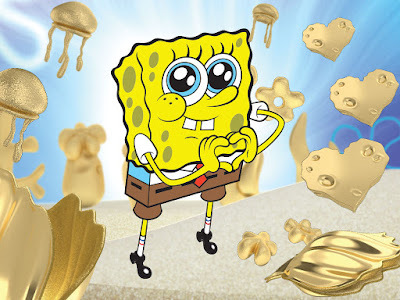 SpongeBob SquarePants features a book by Kyle Jarrow, music supervision, orchestrations and arrangements by Tony and Putlizer winner Tom Kitt and choreography by Christopher Gattelli. The ensemble includes Alex Gibson, Gaelen Gilliland, Juliane Godfrey, Kyle Matthew Hamilton, Curtis Holbrook, Stephanie Hsu, Jesse JP Johnson, L'ogan J'ones, Jai'len Christine Li Josey, Kelvin Moon Loh, Lauralyn Mcclelland, Vasthy Mompoint, Oneika Phillips, Jon Rua, JC Schuster, Abby C. Smith, Robert Taylor Jr., Allan K. Washington, Brynn Williams, Matt Wood and Tom Kenny as the French Narrator. SpongeBob SquarePants is a one-of-a-kind musical event with original songs by Yolanda Adams, Steven Tyler and Joe Perry of Aerosmith, Sara Bareilles, Jonathan Coulton, Alexander Ebert of Edward Sharpe & The Magnetic Zeros, The Flaming Lips, Lady Antebellum, Cyndi Lauper, John Legend, Panic! At the Disco, Plain White T's, They Might Be Giants and T.I., and a song by David Bowie and by Tom Kenny and Andy Paley. Additional lyrics by JonathanCoulton. Additional music by Tom Kitt. With colorful costumes and sets by Tony winner David Zinn, lighting design by Kevin Adams, projection design by Peter Nigrini, sound design by Walter Trarbach, hair and wig design by Charles G. LaPointe and casting by Telsey + Company/Patrick Goodwin, CSA. Since its launch in July 1999, SpongeBob SquarePants has reigned as a pop culture phenomenon. The series has been the most-watched animated program with kids 2-11 for more than 15 consecutive years, and over the past several years, it has averaged more than 100,000,000 total viewers every quarter across all Nickelodeon networks. SpongeBob SquarePants is the most widely distributed property in Viacom history, seen in more than 208 countries and territories and translated in 55+ languages. Paramount Pictures' second feature film based on the property, The SpongeBob Movie: Sponge Out of Water, in 2015 at #1 opening weekend. A third feature has been announced for summer 2020, and the series will celebrate its landmark 20th anniversary in 2019. The character-driven cartoon chronicles the nautical and sometimes nonsensical adventures of SpongeBob, an incurably optimist and earnest sea sponge, and his undersea friends. Tickets are available via SpongeBobBroadway.com and Ticketmaster.com or calling 877-250-2929, by calling 877-250-2929, or in-person at the Palace Theatre box office (1564 Broadway at West 47th Street). Nickelodeon Germany (Deutschland) has partnered with travel agency ReiseMeise to organise the first-ever Nick Camp this summer! At Nick-Camp, children will be looked after by trained supervisors and pädagogens around the clock. During the holiday week, there will be plenty on the program for kids to do. Not only will there be daily language classes and workshops, kids will also have many opportunities to relax, romp, play and have fun at the 8.5 acre site. Fans are invited to immerse themselves in the world of Nickelodeon at Nick-Camp. Campers will experience exciting workshops and lots of surprises as well as relaxing hours by the pool or the lake: the Nick Abenteuer Camp is the summer event that Nickelodeon fans should not miss! Nick Talent Camp is the perfect camp for kids who love film and television and singing and dancing! Campers will get to take a look behind-the-scenes of show business and find out what it takes to shine in the limelight. Want to discover your talent, or see how to develop it further? Then spend your summer holidays at the Nick Talent Camp! Like the stars of the hit Nickelodeon series Spotlight, campers will discover the exciting worlds of being in front of and behind the camera! There is always something going on at Nick Talent Camp! The way to the red carpet can be long and difficult. You don't only need luck, but also talent. But which talent is hiding in you? Find out in the workshops that await you at the Nick Talentcamp! Immerse yourself in the show world of Nickelodeon. Experience exciting workshops and lots of surprises as well as relaxing hours by the pool or the lake: at Nick Talent Camp. The VIP summer event that you won't want to miss! You want to relax, relax and chill during the summer holidays? And have a lot of fun learning how to speak English better? Then the Nick Englisch Camp is for you! Campers can look forward to lots of cool workshops, with lots of variety, fun and action. SpongeBob Squarepants, Teenage Mutant Ninja Turtles, Cosmo and Wanda and co will accompany fans throughout the holiday week. Join Nick-Camp and discover the Nickelodeon world in English, where there is always something going on! Learn English in Germany? It fits together like SpongeBob Squarepants and Patrick. During the whole holiday week, campers will experience a mix of "learning languages" and leisure time. Playfully, but with success, kids will improve their English by themselves. How it works? Quite simple: Nick-Camp brings kids favourite stars from the silver screen and together they'll learn to use the English language. All the workshops and leisure activities are conducted in English. But do not worry, the camp's language teachers can also speak German and understand kids when they have questions in German. Immerse yourself in the world of Nickelodeon at Nick-Camp. Experience exciting workshops and lots of surprises, as well as the chance to relax for hours by the pool or the lake: at Nick Englisch Camp. The summer event that you don't want to miss! ReiseMeise has been providing supervised travel for children aged 6 to 13 for more than 20 years. Quality is at the center of attention at ReiseMeise. ReiseMeise is a member of the travel network and has numerous holiday camps certified by the BZgA with the "Gut Drauf" seal. Full information about Nick-Camp can be found online at https://www.reisemeise.de/nickcamp. Berlin, 27. Februar 2018 – Nickelodeon und der erfahrene Reiseanbieter ReiseMeise schließen sich zusammen und veranstalten diesen Sommer erstmals gemeinsam das Nick-Camp. Im neuen Sommerferien-Camp in Sachsen zur Landesgrenze Brandenburg können Kinder ihre Nick-Helden hautnah erleben und gemeinsam Abenteuer erleben, ihre Talente entdecken und dabei spielerisch Neues lernen. Im Nick Abenteuercamp erwartet Kinder von 6 bis 11 Jahren kreative und sportliche Ferien, etwa beim aufregenden Ninja-Training mit den Teenage Mutant Ninja Turtles oder bei der Floßfahrt mit SpongeBob Schwammkopf und Patrick. Im Talentcamp dreht sich alles um Tanzen und Singen: Wie die Stars der Nick-Serie Spotlight entdecken Kinder von 10 bis 13 Jahren in abwechslungsreichen Workshops, was in ihnen steckt. Im Englischcamp lernen Kinder von 8 bis 13 Jahren mit SpongeBob, Cosmo & Wanda und viel Spaß besser Englisch zu sprechen und studieren zum Beispiel gemeinsam den Camp-Fire-Song ein. ReiseMeise veranstaltet seit mehr als 20 Jahren betreute Reisen für Kinder im Alter von 6 bis 13 Jahren. Qualität steht bei ReiseMeise besonders im Mittelpunkt. ReiseMeise ist Mitglied im Reisenetz und hat zahlreiche Feriencamps mit dem Siegel „Gut Drauf“ von der BZgA zertifizieren lassen. Mehr Nick: Nick GSA To Host 'Nickelodeon Kids' Choice Awards 2018: Deutschland, Österreich, Schweiz' At Europa-Park On Friday 6th April 2018! Additional sources: Google Translate, Wikipedia. Follow NickALive! on Twitter, Tumblr, Google+, via RSS, on Instagram, and/or Facebook for the latest Nickelodeon Germany and Nick-Camp 2018 News and Highlights! More kids, more stars, more slime: Under this motto, Nickelodeon Germany, Switzerland and Austria (GSA) will celebrating this years Kids’ Choice Awards by hosting a big event at Europa-Park, Germany's largest amusement park! Whilst the international Nickelodeon's 2018 Kids’ Choice Awards ceremony, in which kids around the world will honour their global and local favourites from the worlds of film, television, music, pop culture, animation and more with coveted orange blimp awards, on Saturday 24th March 2018 at the “Fabulous” Forum in Inglewood, California, Nickelodeon will honour the favourite stars and heroes of kids from German-speaking countries at Nickelodeon Kids' Choice Awards 2018: Deutschland, Österreich, Schweiz! Nickelodeon Kids' Choice Awards 2018: Deutschland, Österreich, Schweiz will take place at Europa-Park, located in Rust, Germany, on Friday 6th April 2018. Nickelodeon will also be on-the-ground filming the event, and will broadcast a Nickelodeon Kids' Choice Awards 2018: Deutschland, Österreich, Schweiz special on Sunday 8th April 2018 on Nickelodeon Germany (Deutschland), Nickelodeon Austria (Österreich) and Nickelodeon Switzerland (Schweiz). Nickelodeon Kids' Choice Awards 2018: Deutschland, Österreich, Schweiz follows the success of last years KCA event held March 2017 in Berlin. At the star-studded event, around 500 children celebrated their local favourites from music, film and social media. Special guests included YouTubers DieLochis, social media and pop star Lukas Rieger, Bibi & Tina actors Lina Larissa Strahl and Lisa-Marie Koroll, and numerous star guests on the Orange Carpet, such as Nikeata Thompson and Sami Slimani. Berlin, 28. Februar 2018 – Mehr Kinder, mehr Stars, mehr Slime: Unter diesem Motto feiert Nickelodeon seine diesjährigen 'Kids‘ Choice Awards' mit einem großen Event im Europa-Park, Deutschlands größtem Freizeitpark. Während die internationale Award-Verleihung, in der einzig und allein die Kids das Sagen haben, bereits am 24. März in Los Angeles stattfindet, widmet Nickelodeon den Stars und Helden der Kinder aus dem deutschsprachigen Raum ein ganz eigenes Event. Die 'Nickelodeon Kids‘ Choice Awards 2018: Deutschland, Österreich, Schweiz' werden am 06. April im Europa-Park in Rust stattfinden und als große TV-Show am 08. April bei Nick ausgestrahlt. Der „Europa-Park Dome“ als Venue der Show-Produktion bietet Platz für knapp 1000 Kinder und ihre Familien. Auch einen lokalen orangenen Teppich, das Nickelodeon-Pendant zum Red Carpet, wird es erneut geben – Gelegenheit für reichlich High-Fives und Selfies mit den Stars und Idolen. 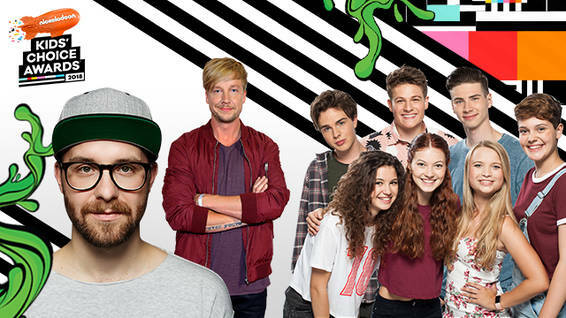 Bereits im letzten Jahr hat Nickelodeon die 'Kids‘ Choice Awards' erfolgreich als Event nach Deutschland geholt. In Berlin feierten im März 2017 rund 500 Kinder ihre Stars aus Musik, Film und Social Media. Mit dabei waren unter anderem die YouTube-Zwillinge DieLochis, Social Media- und Popstar Lukas Rieger, die „Bibi & Tina“ Schauspielerinnen Lina Larissa Strahl und Lisa-Marie Koroll sowie zahlreiche weitere Stargäste auf dem Orange Carpet, wie Nikeata Thompson und Sami Slimani. Nickelodeons Kids' Choice Awards 2018 feiern die Favoriten der Kinder aus den Bereichen Film, Fernsehen, Musik, Popkultur, Animation und mehr. Mit Stunts und Überraschungen an jeder Ecke kehrt die Show im März zurück ins "Fabulous" Forum in Inglewood, Kalifornien, und wird von Kindern rund um den Globus auf Nickelodeon-Kanälen in mehr als 170 Ländern und Regionen gesehen. Weitere Informationen zu den Kids' Choice Awards, einschließlich Star-Gästen, werden in den kommenden Wochen bekannt gegeben. In der Saison 2018 widmet sich Deutschlands größter Freizeitpark ganz seinem beliebten Nachbarland Frankreich: Nach umfassender Modernisierung dürfen sich die Besucher des Europa-Park auf einen umgestalteten Französischen Themenbereich freuen. Mit frischem Look sowie neuen Attraktionen und Gastronomieangeboten ist die Grande Nation das Highlight der kommenden Saison. Dabei dürfen Groß und Klein ab Sommer besonders auf die umgestaltete Dunkel-Achterbahn „Eurosat – CanCan Coaster“ inklusive eines weiteren Virtual Reality-Erlebnisses gespannt sein. Im Englischen Themenbereich lockt ab Saisonstart außerdem Paddington, der beliebte Bär und in Griechenland dreht sich sogar eine ganze Eisshow um die kuschelige Kinderbuchfigur. Abgesehen davon lassen auf einer Fläche von 95 Hektar über 100 Attraktionen und mehr als 23 Stunden Showprogramm täglich die Herzen höherschlagen. Nachdem die ganze Familie 15 europäische Themenbereiche erkundet und zahlreiche Abenteuer erlebt hat, laden die fünf parkeigenen Erlebnishotels zum gemeinsamen Erholen und Entspannen ein. Mehr Nick: Die Nominierten der 'Nickelodeon Kids‘ Choice Awards' stehen fest: Kinder aus Deutschland, Österreich & Schweiz voten 2018 in sechs lokalen Kategorien! Mr Krabs sends Squidward on a journey to Mars in order to make his paintings more valuable in this out-of-this world video clip from SpongeBob SquarePants! More Nick: Vault by Vans Dives Under the Sea with SpongeBob SquarePants! Butch Hartman does the two handed drawing challenge... does he succeed? Shout off in the comments section on YouTube! Sintonize Friday 30th March 2018 para os vencedores! More Nick: Nickelodeon's International Channels Announce Their Local 2018 Kids' Choice Awards Nominees! Hazel and her cowardly ten-foot-tall cat, Pancake, try to befriend a giant chicken causing chaos in their magical forest in this fantastic Nickelodeon Animated Short, My Friend Pancake, created by Rikke Asbjoern (co-creator of Pinky Malinky)! Featuring the voices of Kari Wahlgren (The Fairly OddParents, Bunsen Is a Beast) as Hazel, Samm Levine (Mutt & Stuff, Raising Dad, Freaks and Geeks) as Pancake, and Frank Rocco (Monsters vs. Aliens) as Chicken. More Nick: Nickelodeon Animation Now Accepting Applications For Summer 2018 NICKternship Program | NICKterns! Vincent Waller, the Creative Director on Nickelodeon's hit original animated series SpongeBob SquarePants, has unveiled eight Sponge-Tastic videos on his official YouTube channel featuring the Rough and Final storyboards for the SpongeBob SquarePants episodes "Old Man Patrick", "Fun-Sized Friends", "Drive Happy" and "Grandmum's the Word", which recently premiered as part of Nickelodeon's “I ❤ SpongeBob” premiere week! Check them out below, and watch the finished episodes in full on Nickelodeon, at nick.com/spongebob and on the Nick App! Dub (Kel Mitchell) challenges Babe (Cree Cicchino) to an EPIC dance battle in this clip from the Game Shakers episode "Subway Girl"! Watch the episode in full now at nick.com and on the Nick App! Dan Schneider is an American actor, screenwriter, and producer of films and television. He is the president of his own production company called Schneider's Bakery, Inc. On the internet, he and his production company often go by the nickname DanWarp. More Nick: Nickelodeon USA To Premiere "Henry Danger" - "Back To The Danger: Part 1" On Saturday 24th March 2018! ¡Nos divertimos mucho grabando Made for Love, el hit de Kally's Mashup! ¿Cuál es tu canción favorita de la serie? ¡Dile a Nick en YouTube! Más Nick: Nickelodeon Latin America To Premiere New Episodes Of 'Kally's Mashup' From Monday 5th March 2018! Dive straight into adventure with the PAW Patrol Sub Patroller! Help Ryder and the pups go on action-packed rescue missions and change from hover mode to sub mode when you spot trouble! Activate the real lights and sounds and use the life ring launcher to help save the day! Go on awesome rescues with the PAW Patrol Sub Patroller! Fly it, then turn it into a submarine! Load Ryder into the cab and plunge straight into adventure. There's even room on board for the PAW Patrol pups! Push the yellow button to hear real sounds and see flashing lights, then use the life ring launcher when you spot a sea friend in trouble! Ryder even has his own escape hatch so he can go from driver to diver! Help save the day with the Ryder and the PAW Patrol Sub Patroller! Watch PAW Patrol on Nickelodeon and Nick Jr.! For more information on Paw Patrol, visit: http://www.pawpatrol.com! Stay connected with PAW Patrol on: Twitter | Facebook | Instagram | YouTube! More Nick: Outright Games And Nickelodeon Partner For New 'PAW Patrol' Video Game For Consoles And PC! Listen to the Dansk version of the Mysticons opening theme song in the super video below! Make sure to enter the Mysticons Valentine's Prize Pack Giveaway Contest! Sweepstakes closes Wednesday 28th February 2018! Follow NickALive! on Twitter, Tumblr, Google+, via RSS, on Instagram, and/or Facebook for all the latest Nickelodeon Denmark, Nicktoons, and Mysticons News and Highlights! More Nick: Nickelodeon Releases 'Rugrats' Season 3 & Season 4 On DVD Sets! Did you hear? Social media sensation JoJo Siwa will be performing a medley of hits, including her triple-platinum smash “Boomerang,” with has garnered over 500 million views on YouTube, at Nickelodeon's 2018 Kids’ Choice Awards! JoJo is also nominated for the "Favorite Musical YouTube Creator" in the 2018 Nickelodeon Kids' Choice Awards, and you'll be able to for the Nickelodeon star from Monday, March 19! Don't miss KCA 2018, airing live on Saturday March 24th at 8 P.M. (ET/PT) on Nickelodeon USA and YTV in Canada, and on Nickelodeon channels around the world within hours of the live show! Ook dit jaar zijn er drie lokale categorieën waarin Nederlandse sterren kans maken op een award: Kaj van der Voort, Maan, Ronnie Flex, Sarah & Julia, Vajèn van den Bosch en Vinchenzo zijn genomineerd in de categorie Favoriete ster: Nederland. 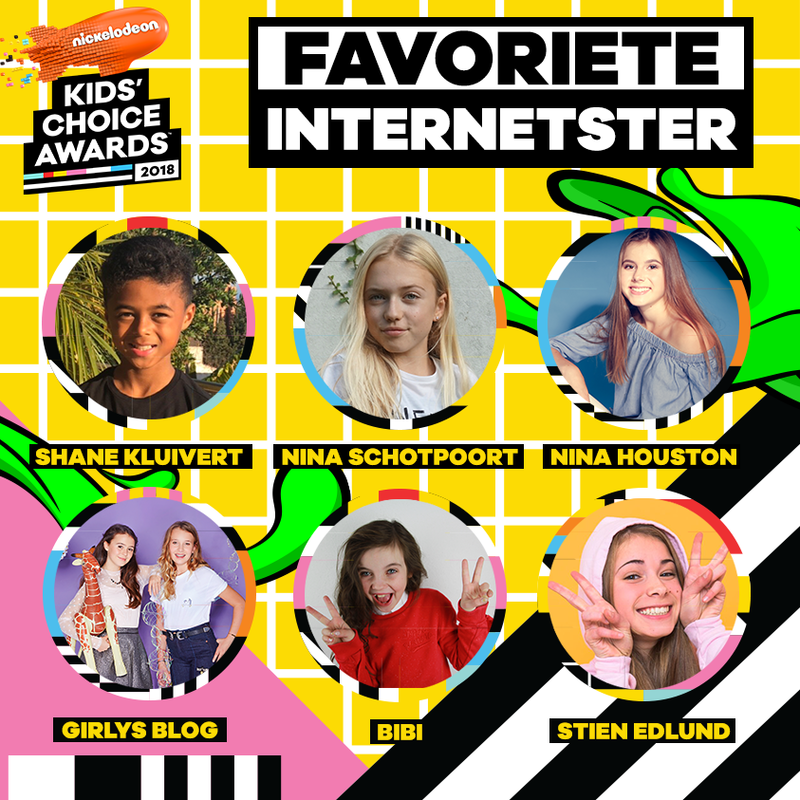 In de categorie Favoriete Internet Ster: Nederland en België zijn Bibi, Girlys Blog, Nina Houston, Nina Schotpoort, Shane Kluivert en Stien Edlund genomineerd. 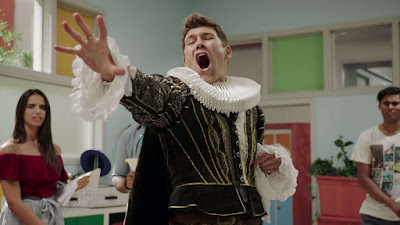 In de categorie Favoriete TV-serie: Nederland en België, zijn de kanshebbers Brugklas, De Ludwigs, Ghost Rockers, Mees Kees, Nachtwacht en SpangaS. Fans kunnen vanaf nu hun stem uitbrengen via http://kca.nickelodeon.nl. De Nederlandse winnaars krijgen hun prijs live uitgereikt in het Nederlandse deel van de show die zondag 25 maart om 19.00 uur wordt uitgezonden op Nickelodeon. Dit deel wordt gepresenteerd door Nickelodeon-gezichten Stef Poelmans en Nienke van Dijk. In de weken voor de uitreiking barst de strijd op Nickelodeon los als nooit tevoren met Race naar de KCA’s. Nickelodeon-hosts Nienke van Dijk en Stef Poelmans nemen het tegen elkaar op in een spannende race vol vette en grappige challenges om de gestolen awards op tijd terug te vinden voor de grote show. Gelukkig krijgen ze hierbij hulp van vele genomineerden. Volg de strijd elke zondag om 19.00 uur bij Nickelodeon. De Nickelodeon Kids' Choice Awards 2018 wordt mede mogelijk gemaakt door Heelys en Vingino. Nickelodeon is het merk voor kinderen binnen de merkenportfolio van Viacom Benelux. De van oorsprong Amerikaanse zender is wereldwijd één van de grootste entertainmentmerken voor kinderen, in Nederland is Nickelodeon de nummer 1 kinderzender. Het is de plek waar kinderen op de eerste plek staan; zij staan centraal in alles dat Nickelodeon doet. Van de ontwikkeling van series, websites, apps en social media tot events en consumentenproducten. De Nickelodeon-programmering is speciaal ontwikkeld voor kinderen in de leeftijd van 6 tot 12 jaar en bestaat onder meer uit live action, animatie en game shows. Het entertainmentmerk besteedt veel aandacht aan het lokaliseren van de zender voor de Nederlandse kijker. Zo is een groot deel van de live action- en animatieseries in het Nederlands nagesynchroniseerd en zijn er veel producties te zien uit Nederland, zoals De Ludwigs, Snap het, Droomkamers en Cool Factor. Voor de jongsten is naast Nickelodeon ook Nick Jr. te zien. In 2017 was Nickelodeon met 18.0% marktaandeel onder 6-12 jaar marktleider en een jaar eerder lanceerde Viacom Benelux de eerste mobiele on-demand propositie voor haar portfolio: de Nickelodeon Play app. Nickelodeon Play biedt een rijke entertainment-omgeving van shows, filmpjes en spelletjes speciaal ontwikkeld voor kinderen in de leeftijd 6-12 jaar. Thomas the Tank Engine is chugging on over to Nickelodeon and he's bringing all his friends along. When it comes to BIG adventures, there's one engine who's always number ONE! Catch Thomas, James, Percy, Gordon, and more from Thomas & Friends -- the newest series coming soon to Nick Jr.! Get excited for all the TRAC-TION before it's on television by watching this sneak peek Thomas & Friends! To find more Nick Jr. videos, games, full episodes, and a collection of kids' songs, visit the FREE Nick Jr. App or go to NickJr.com. More Nick: 'Thomas & Friends' Changes Tracks; To Join Nick Jr. USA's Timetable In March 2018! Não perca a estreia de Kally's Mashup, dia 05 de março às 19h! Mais Nick: Nickelodeon Brasil To Premiere 'Kally's MashUp' On Monday 5th March 2018! Viacom International Media Networks (VIMN) Polska will strengthen its portfolio with the launch of a localised Nicktoons channel in Poland during early 2018, reports Wirtualnemedia.pl! VIMN currently has three dedicated children's channels in Poland: Nick Jr. for children aged 2-6 years, Nickelodeon for kids aged 4-15 years old, and Nickelodeon HD for kids aged 4-12 years old. Nickelodeon HD Polska launched in October 2011, and broadcasts a different schedule than Nickelodeon SD. Nicktoons HD Polska is expected to replace Nickelodeon HD when the channel launches during early 2018. Update (Wednesday 17th January 2018): Poland telecommunication cable operator VECTRA S.A. has announced that Nickelodeon International HD will be renamed and rebranded as Nicktoons Polska in Poland on Thursday 15th February 2018! Update (Wednesday 14th February 2018): Nickelodeon Poland has launched Nicktoons Polska's official website, nicktoons.com.pl! Update (Sunday 21st January 2018): Nicktoons Polska will broadcast in high-definition! Toons Cię widzi, Ty widź go też! Nicktoons start już w czwartek! Twoi Ulubieni Bohaterowie już tu są! Nicktoons - ulubieni bohaterowie już tu są! Nicktoons już tu jest! Oglądaj w swoim telewizorze!